Da-Ren appears on the doorstep of Castel Monastery demanding the monks redeem the lives of his wife and daughter. Despite being a barbarian, a pagan, and infidel in their eyes, the monks let him on the island where they are tasked with transcribing the warrior's story. 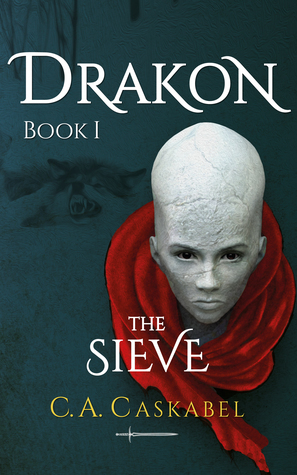 This book is the story of Da-Ren's first trials of training in a gauntlet his tribe calls The Sieve; a series of grueling life or death tests that had me legit wondering if this tribe just runs out of kids at some point. But my stupid jokes aside, this is the type of dark fantasy that's depressing but written in such a visceral and lyrical manner that it's almost hypnotic. It's written in the style of most sweeping epics, so it's not dumbed down or flinch from the gore. You can't help but get invested in Da-Ren and his world and though the book only covers the first part of his training and you know more is to home, the cliffhanger doesn't feel jarring enough to not seek out the next installment; which I will definitely be doing. If you like dark fantasy, this is a fantastic installment. A welcome 4.7 out of 5. Mini Nunchaku Fun for your Thumbs!